“High Tide” – Planetself out On Tokyo Dawn Records – 2018 By Benjamin Ital – Jazz Syndicate Services & Aja & Claire Simone's Ketch A Vibe Show. 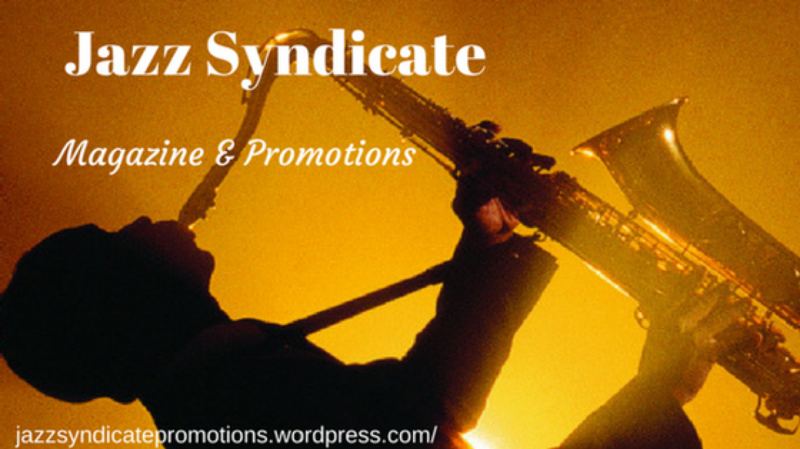 Jazz Syndicate Services & Aja & Claire Simone's Ketch A Vibe Show. Please click on this album cover to find out more information or simply to buy. Sometimes music that comes to us via the Digital medium get lost, lost in to our chosen playing device automatically ending up in our daily playlist. That list that you use when going to work or cleaning your house. A dependable playlist that always has something for the mood we are in, even if it means skipping a couple of other tracks to get to. Is this good or is it bad, well if it does it automatically, leaving you no choice to change it until the track plays, as you did not know it was on your loved playlist until then it can be both pleasure and pain at times, so when this album was sent to me and ended up sneaking into my playlist, it became a pleasure. Thus unfortunately it has taken me a few more weeks than expected to write this little viewpoint on the music, as it just fitted in and got enjoyed quite a lot, sorry for that. But that is a good point, I really enjoyed the album. As with any music it seems these days, you can call parts of it retro. That buzzword that I hope is being used less, as it is so overused. So I am actually a bit loathed to use it here, but if your familiar with music from people such as De la Soul, A Tribe Called Quest, or any other alternative Hip Hop and Jazz Rap, you will think parts of this maybe that dirty word retro. Personally I would rather call this a continuation, fresh and new with a positive direction that makes it that enjoyable that it did not feel out of place on my wide varied playlist. Across the seven tracks, this Australian group ‘Planetself’ have produced an album that also escapes that alternative Hip Hop at times becoming pure soul and jazz music. As ever in this review I will just pull out a few tracks to give you a flavour of what is on offer musically, leaving it up to you to go and find this album on Bandcamp and download it for yourself. Track two ‘You Plus Me’ fitting that pure soulful Jazz music style, a love song with a simple message. A gentle latin feel in its jazzy bass led track, with some nice swirly sounding fx on its piano. And of course a constant percussive click of all good latin tracks. The vocals are sweet but not overly with some double tracking sounding parts that work well lifting the vocals out of the mix to sit right in the overall feel. Liked this one a lot, and yes it does fit back into its alternative Hip Hop home for a bit with a rap section that does not last long, just perfect feeling for this one. There are a lot of guest inputs on the album, but I could not tell you what any of them do, heck I could not tell you what they look like. It’s all names I do not recognise. Four track do the guests thing, so just over half. On some albums this could be seen as needing extra talent brought in to cover any talent shortcomings of the original band. This is very much not the case with this album though, you never lose the sound of Planetself under any of the guests, they are used throughout you feel to add to track rather than be a name to sell a track. Track five is one of the tracks featuring guests. ‘Resin’ featuring three names I have no clue about. Starting like a classic old hip hop track with what sounds like a sampled guitar track, (if it is a sampled track I do not recognise it, sorry). Getting going with a full on but not aggressive style rap, leading into the now familiar female voice singing, then more laid back rapping. Its constant looping back on the guitar riff wonderfly hipnotic, and pure hip hop at its most authentic. Also some classic beatbox & very old school scratching hits us latter in the track, and I must admit I do miss decent disc manipulation like this in some other modern styles of hip hop music. This track is one that gets a nod going while listening with headphones on a journey out and about. As I mentioned earlier this album moves in and out of Hip Hop and soul/jazz, so it should appeal to any one with an open view on what each of these styles of music are. Definitely starting in the world of Hip Hop and ending in a jazzy pop feel on my overall favourite track, track seven ‘Pachamama’ just resonates with me. I am not sure if it’s the magical synths, all dreamy electric piano, lush vocals or their message, or maybe the easy going but relentless drum track. Well obviously it is the whole combination of all these parts making a song that stands out with complete beauty and class to me. This one has had a fair few repeat plays on that playlist of mine, and will probably stay that way for a while. Seek this out, it is on Bandcamp as mentioned, you can buy it for 5 euros, and that is worth it for one track alone. Oh, and watch out for the wonderfly squidgy synth bass line on track 3……………another instant head nodder of a track. Previous postBlackshapes -Leave It All Bad Things Behind By Aja (Ketch A Vibe). Excellent Review by the talented Mr Ital !! !